Aluminium boats are far more durable than comparable GRP hulls, easier to repair, won’t suffer osmosis, and will last longer. The most preferred construction for commercial applications. Sailfish trailers are lighter, stronger, will never rust and are tailor made for your boat, making launching and retrieval a breeze. A perfectly matched combination all built in our own factory. Aluminium hulls and trailers mean you can tow a bigger boat behind your car compared to fibreglass, or tow the same size for a lighter weight overall. This is both safer and will result in less fuel and wear and tear on the tow vehicle. Varying beam options allow you to maximise your stability. 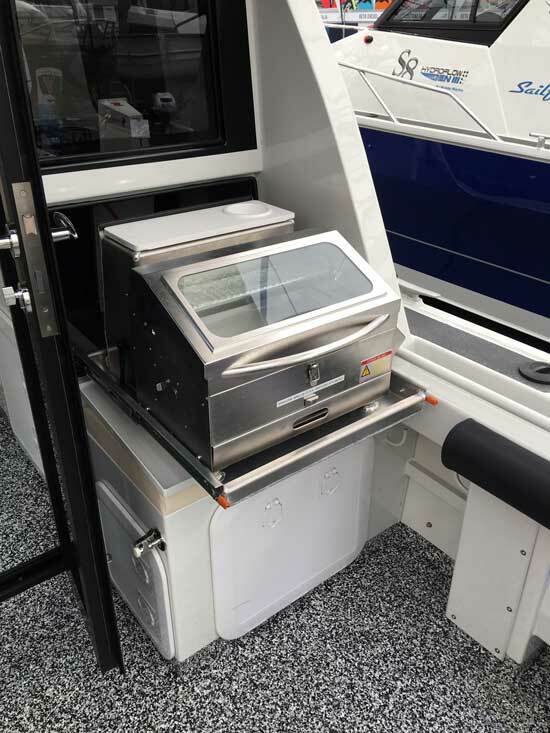 All boats have their beam carried as far forward as possible to maximise stability at rest, thus a safer and more comfortable boat. Offers incredible fuel efficiency and lower horsepower requirements. You get a cheaper day on the water. 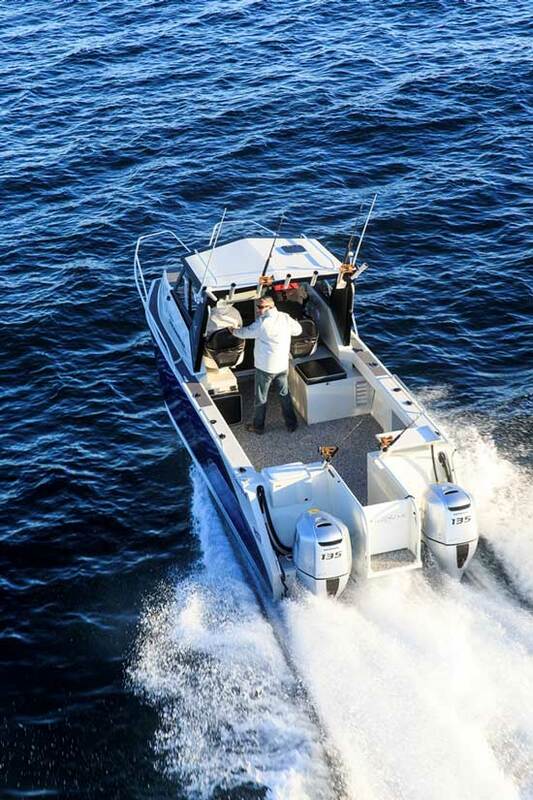 By using a box section rather than channel, your boat is more rigid and stronger and stands the test of time. Strengths where it counts, and the backbone of your boat. Unmatched protection at ramps or beaches and when fishing reefs or uncharted waterways. Total peace of mind. Flatter turns and less spray. A safer, drier ride. Increased buoyancy in the bow of your boat allowing a flatter, safer turn, better control and safety, especially in a following sea and bar crossing situations. All our hulls are foam filled making them both the safest and quietest catamarans on the market. All our boats are painted using a 3 part process using the best materials available ensuring your boat looks its best for longer. All holes are pre drilled prior to painting ensuring a full seal to your paintwork. 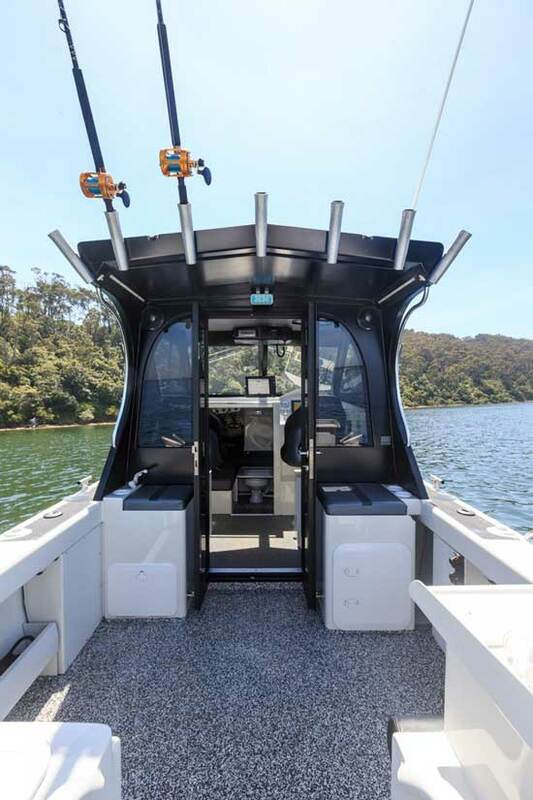 Designed to suit you and your electronics, keeping you comfortable for long days out on the water. True, straight running in the most demanding seas. Additional strength by welding the inside and outside of most joints. This feature also allows us to grind back the outside weld, allowing an almost seamless finish to our welds. Long life and easy servicing to your wiring harnesses. All our bollards, cleats and handrails are fully welded, offering unparalleled strength to your deck fittings. Increased traction around those slippery areas, making life easier even in the roughest of seas. 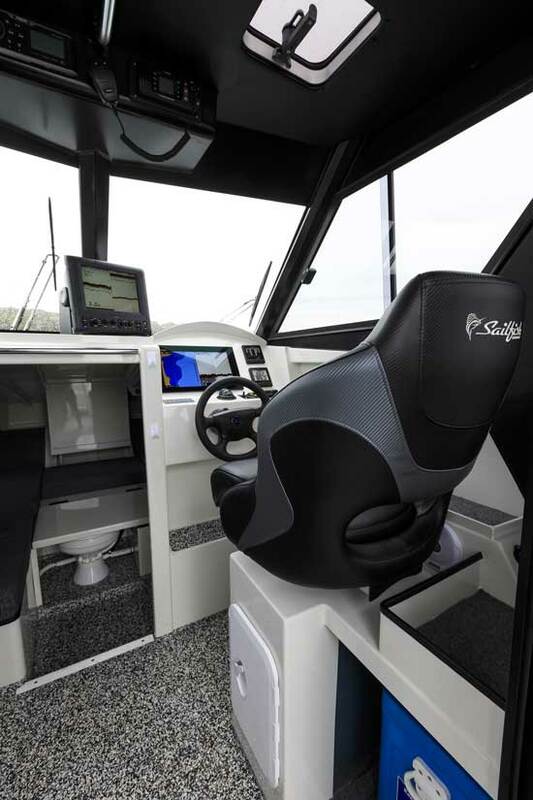 Sailfish Catamarans are a controlled low volume / high quality hand crafted product. No other manufacturer utilises the unique design characteristics this hull has to offer. Please CLICK HERE for more details.